In kindergarten I was christened as Painted Flower, my Cherokee name. Looking back, I think it's funny how apropos my Native American name is to my interests! Since I'm 1/8 Cherokee, I've always been interested in Native American art and artifacts. 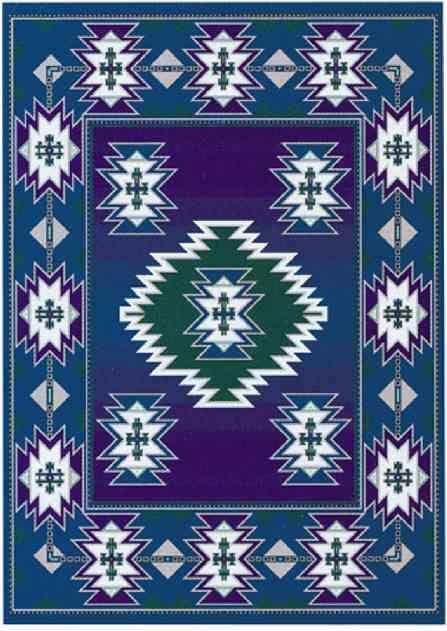 Native American handiwork has never really been given a place of status in art history, but it has come under more scrutiny in recent years, both for its "primitive" influence on other American art, and for its own cultural and artistic value. 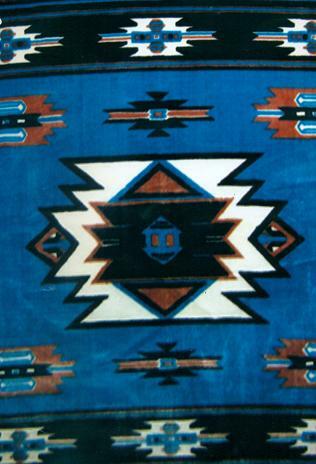 I inherited this reproduction blanket/poncho from my mother. It's one of my favorite garments, not only because I remember her wearing it, but also because of its beauty and versatility. 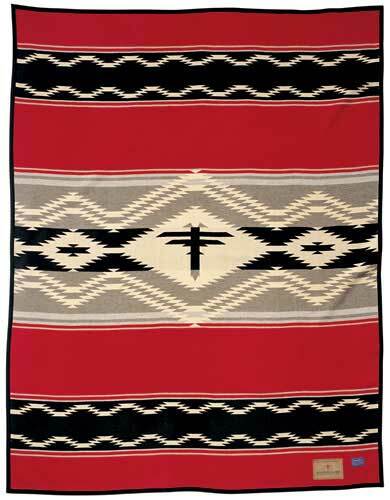 The tradition of Native American weaving has produced some of the most striking tapestries and blankets. The bold, graphic color combinations are completely relevant to fashion today. 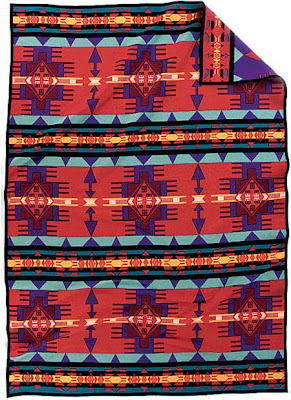 Brands like Pendleton have been producing collections inspired by these Native American works for decades, and they are back in vogue in stores like Opening Ceremony in New York. It's important to appreciate these woven works as art as well as for their intended utilitarian purposes. These boots were sent to me by Cougar, a Canadian company that specializes in stylish and practical winter footwear. I love that they're rain boots incognito as motorcycle boots--much easier to work into my wardrobe. They are guaranteed waterproof and warm to -11F degrees, so I thought the perfect place to try them out would be in the chilly shorebreak. I couldn't believe how warm they kept my feet! That is, until an unsuspected wave crashed up to my thighs--but that was all my own oblivious fault. Thanks to Cougar for the awesome boots! I'm wearing a vintage woven poncho, Zehana Outfitters turtleneck, DKNY leggings, and Regal boots, courtesy of Cougar. If you fill out this short survey of your impression of Cougar boots, Matchstick will donate $2 to the American Red Cross. I am absolutely in love with that poncho, and your boots. Definitely something I would have in my closet (when I can afford them, heh; the pains of a university student). Also, I like how you used that yellow to liven up the entire outfit. 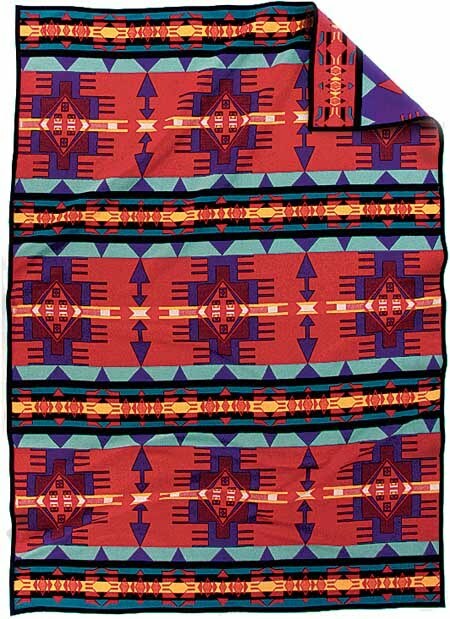 I really love the print on your poncho and the story behind it!!! I like the design of the poncho and the boots are doooooppppeee! Love all these patterns! If you want some vintage styles like this please come and visit us! I love yellow! I think people underestimate the wearability of yellow, you just have to find the right shade. I found your blog on StyleLikeU, and I pretty much think you and your style is fabulously awesome! !